I thought I’d also share a a few stats about the event last week too. The average time spent in the class was 163 minutes. With 950+ in attendance at some point during the 3 hour class. With so many questions that were logged I thought it would be helpful to answer some of the most common questions via my blog. So let’s get started! Q: Is there any R or Python integration? How about other developer API? Q: If you only want to share certain visualizations to a user without sharing the full report, would pinning just the one visualization live to the dashboard serve that purpose? A report visualization that is pinned from a report defaults to launching the full report but one little trick you could try is changing that default behavior by clicking the ellipsis on the pinned item and then edit it to launch a custom link instead. Q: For combine binaries option; in order to combine data from 2 files, do both files need to have same metadata? It’s not mandatory that they have the same metadata but it definitely make it easier to combine them together. If the metadata is different between these files then it combines the data from the files into a single column and then you must parse the column into the columns you need. Q: Do we have connectors that connect to social media sites – Facebook, twitter, etc..? Yes! There is a native Facebook connector built in and you can also pull in twitter data through a couple other methods. My favorite is with Stream Analytics. Read about it here. Q: Is it possible to join more than 1 table in the MERGE window as the demo shows only option to select 2 tables? No not at the same time. You can of course go back and merge another table after you do the first 2. Q: what is the difference between the Query editor and Data Modeler? What can and can’t do in each case ? To summarize the Query Editor is mainly for Data Extraction actions. So providing source information, applying rules to the incoming data, etc… The Data Modeling areas are focused on creating relationships between tables you’ve important and creating calculations you might need in your report. This of this as the last step to prepare you data for reports. Q: Is the data model in a proprietary format? If data were loaded to data model could they be accessed later for loading data somewhere else? Yes it is in a proprietary format but you can access the data through multiple tools later. 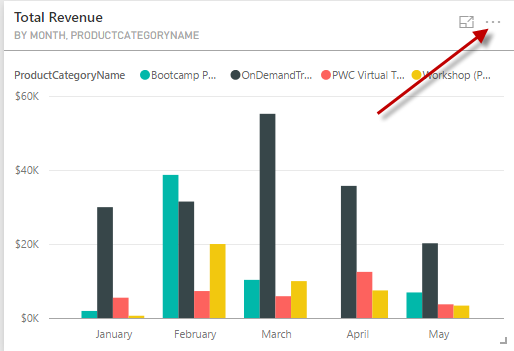 Outside of Power BI you can also access the data in the model using Excel once it’s been deployed to PowerBI.com using the Analyze in Excel feature. Q: Most tables don’t have a month number column. How would you correctly sort month if you did not have that month number field? Q: Is xvelocity the same as what was called vertipak in excel? Yes, these are the same. Just a name change occurred a number of years ago. Q: How can I deploy my work in PowerBI in on premise SharePoint 2013? Nothing that I demoed in this workshop can be deployed to SharePoint on premises but the Power BI related components of Excel can be. Q: Is Q and A available on the PowerBI desktop, too? No, you must deploy to PowerBI.com before you can utilize Q&A. You can however enhance how Q&A works by adding synonyms in the Power BI Desktop. I hope you enjoyed the free workshop and look forward to doing another one in the future!